Dungeon Colony is currently in Alpha development. This is an indie project with a small group of individuals including Game Designer/Developer Sebastian Wolfram, Visual Artist Daniel Thomas who has created the visual artwork for the game, Donald Hanson who has made initial sound effects and a group of friends who have been helping in the first rounds of Alpha testing. The development milestones include an early Alpha release of the game in order to test and verify assumptions about game design ideas and use feedback in the development process. As you can imagine, this project comes with costs and given that initial feedback remains positive I will begin funding the game by adopting a payment model (tba). No official release date exists, though development follows tight timelines in order to complete milestone objectives within internal expectations. 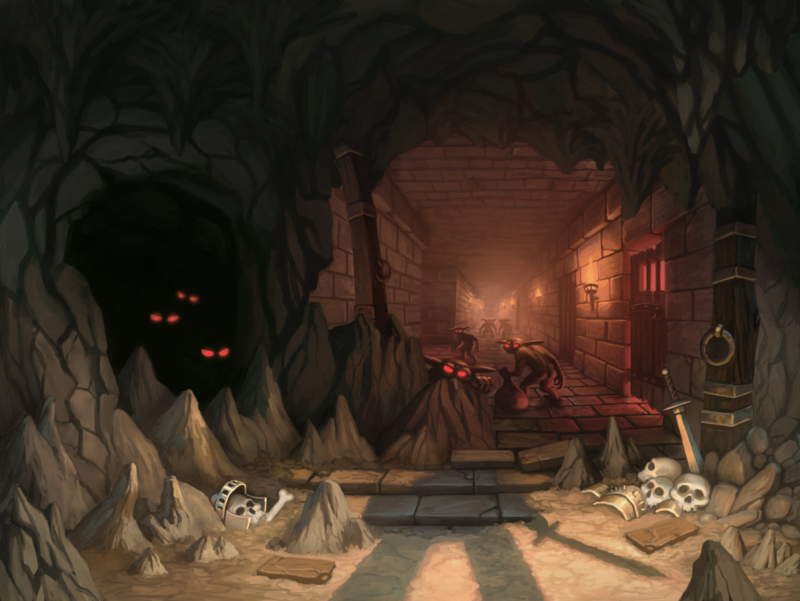 Develop Dungeon Colony to final Release status by releasing new game features and improvements in small intervals while repeating this process until major objectives have been reached and sufficient testing/balancing by the community affirm their completeness. 2D tile based Dungeon Crawler; instead of playing the hero, you play the opposite side. During Alpha development the game is open-ended and in sandbox mode. To add challenge for this round of testing & balancing we added enemy waves which are becoming more numerous and difficult as you become more powerful. Fell a tree or dig a wall by the tools on the right hand side. You can also select a minion and then right click on a tree or wall. Workers can be controlled but go on with their business when left alone. Your Minions need to have food available otherwise they become weak and slow and eventually starve to death. Minions need to have liars otherwise they become tired and slow. Your minions have got to get paid! They desire gold more than leprechauns. If they don't get paid, they become lazy and slow. Enemies come from different parts of the land. Each part may have unique enemy types. Scouts report on your map when enemies are about to become a threat. Integrated Game Updater always downloads the latest version. Game compatible on Mac, Windows and Linux Operating Systems. New objects, traps, food, resources, blueprints, quests..
Current Goal: Single Player Mode. Content: Creatures, Objects, Recipes, Audio/Visual Assets. Main and side quests. The main quest follows the story of the game. Graphics - including the game sprites, user interface controls, and background images - have been created by Visual Freelance Artist Daniel Thomas from Sweden. Check out his art; it is amazing. The music and sound effects are created by dsonic, an awesome studio that works with indies but also has a lot of experience with AAA titles such as Bioshock and Eve online. I used to have some sound effects created by digital media artist Donald Hanson. But then I hired the studio mentioned above and they did all the work for all of my sound needs. I still want to leave the link to my friend Donald who is so amazing! Visit his website to find out about his current projects and listen to some of his samples.